Montessori education is an education of a lifetime. It not only prepares the child for school, but it also prepares them for life. 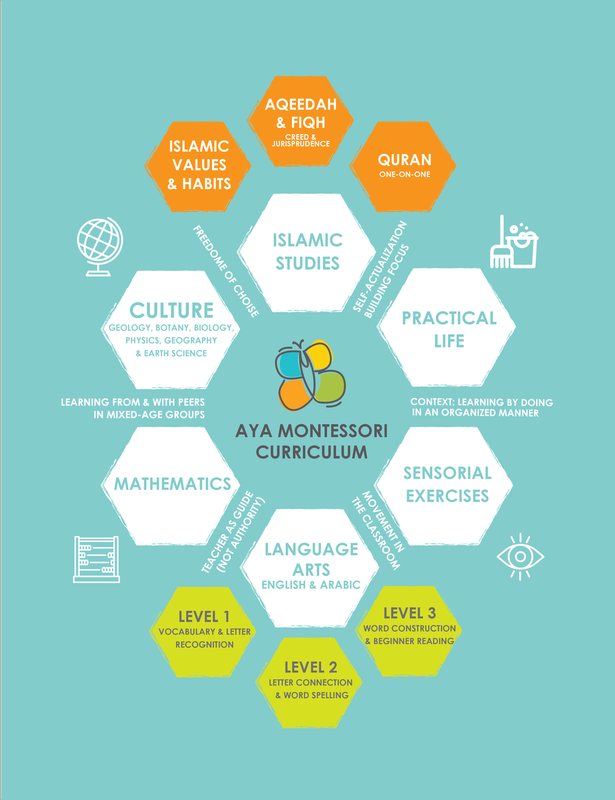 While learning the ABC’s is important, Aya Montessori designed a full curriculum that is not only helping the child academically, but also nurtures the MIND, BODY & SPIRIT of children through our optional tracks that helps the child understand and absorb important values.